"After Jade Warrior's self-titled debut album (1971) and two following ("Released", 1972, and "Last Autumn's Dream", 1973) were released on the 'swirl' (old) Vertigo label, the band were at the peak of their creative activity in the first half of the 1970s, and prepared a whole double album for just about six months. 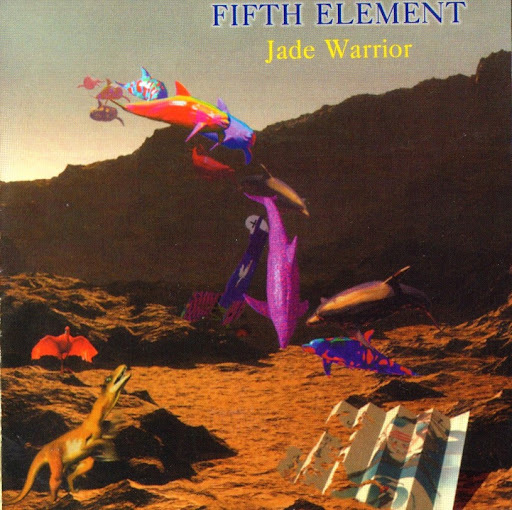 The release of Jade Warrior's double LP did not, however, go in line with Vertigo's swirl strategy, and then the band members have logically decided to offer Vertigo to halve that "double" material and release it as two separate LPs: first "Eclipse" (in 1973), then "Fifth Element" (in 1974). Sad to know that as a result all ideas, searches for compromise settlements along with both LPs and the band itself were killed by the 'swirl' people at "Vertigo" (who, by the way, earlier killed another great band Clear Blue Sky."